I’ve been waiting a long time to get Thunderbolt3 in a Mac laptop, 2 years to be precise. So I was one of the first early adopters that pulled the trigger and purchased the instant it became available on the online Apple Store, as I needed a custom built-to-order model. Mine was all specs maxed except only having the 1Tb SSD option. Ordering in the first minute of availability meant that I received it on Wednesday, November 16th. That was 5 days ahead of what Apple had predicted. At first it was all good. 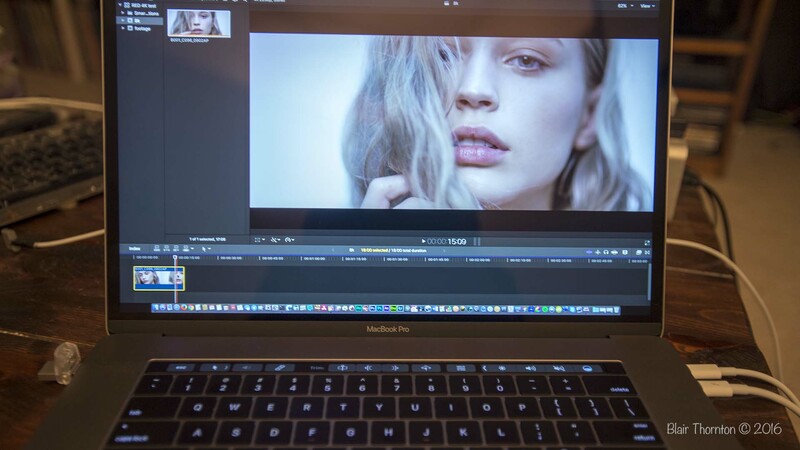 I tested 8K RED raw footage in Final Cut Pro 10.3 and it played pack smoothly with footage on my SSD drive. Very, very impressed there! I was beginning to think I made a good decision. I was wrong. Once I began backup proceedings using Synchronize Pro X Plus and Carbon Copy Cloner 4.1.10, I realized this was a major issue. I began having spontaneous reboots, hanging and crashes when using Carbon Copy Cloner. Mike Bombich from Bombich Software says CCC cannot cause a kernel panic and it’s likely due to a driver or faulty hardware. I thank him for his help troubleshooting the issue. Well, after getting 6 to 12 kernel panics a day since getting this 2016 MacBoook Pro, I’ve given up on using Thunderbolt3 on the new 2016 Mac Book Pro. It’s totally useless, and I filed an Apple Bug report to that effect. In my mind, this level of quality control at Apple is totally unacceptable. This is atrocious. Follow up with Apple Bug 29333645.
p.s. CCC works perfectly over a network share still. Can’t wait to test USB-C.